Mindoro is the seventh largest island in the Philippines, which is located off the coast of Luzon and is accessible from the Batangas ports via a boat ride. Most popularly visited because of its awesome beaches in Puerto Galera, tourists get to feel a “Boracay-like” atmosphere there at a more budget-friendly cost. #1 - Badladz Dive Resort: Are you diving for the first time or not? And do you either want to learn the basics of it or get the next diving certificate for more serious divers? 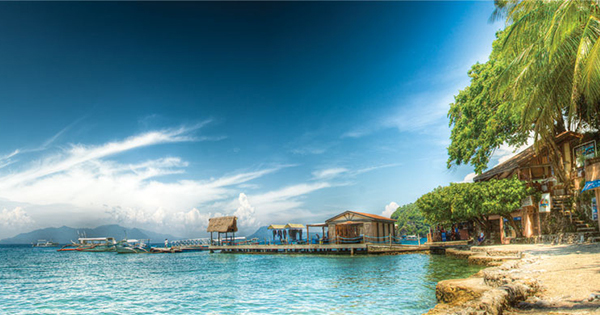 Are you longing for notable accommodation complete with amenities, looking for appetizing meals by the bay, ready for an exhilarating banana boat ride at White Beach, or a most soothing massage over at Sabang Beach, etc? If you answer YES to these questions, then Badladz Dive Resort is the best place you could ever decide to be at for your weekend getaway! #2 - Out of the Blue Resort: No more denying yourself of possibly your greatest family, romantic or diving vacation, and set out right away for Out of the Blue Resort! Your praise for their free breakfast, split air conditioners in all bedrooms, extensive DVD/book library, scrumptious food/drinks in the Verandah, free use of Cable TV, in-room safes, extremely comfortable beds, spa treatments, boat trips to popular tourist attractions, etc. will forever be on your lips! #3 - Badladz Beach Resort: you can if you must have a seamless time out from all the hustle and bustle of city life – at restoring Badladz Beach Resort! You and your family or friends are the stars in this resort, where you are pampered to the max with their pool and beach, pristine blue water, cooling palm trees, hammocks, sun chairs, perfect rooms, amusing water sports, BBQ grill, coffee shop, restaurant, massage services, and many more! Be pleased to the core! #4 - Infinity Resort: lives up to its name by giving you and your loved ones infinite reasons to sit back, relax and enjoy life! And these are their fabulous rooms that provide excellent comfort and space; plus over 2 dozens of dive sites to choose from, where you can see abundant and colorful marine life; not to mention definitely happy tummies at The Brae Restaurant; fish spa, Jacuzzi, infinity pool ,etc. Trade the troubles of this world, for the peace, love and thrill in Infinity Resort! #5 - Lalaguna Villas: There is re-energizing time over at Lalaguna Villas, in Sabang, from dusk till dawn! Aside from its classy and truly functional rooms full of the latest amenities, you’ll also forever remember Lalaguna Villas’ lush mountainside, white sandy beach, blue water, shopping, dining, nightlife and top-notch hospitality! That’s right; just leave all your hideaway plans onto Lalaguna Villas’ hands!